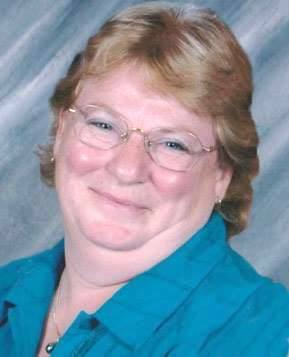 Darlene Mary Hood (nee Work) passed away peacefully in Kamloops, BC on April 7, 2017 at 60 years of age. She was predeceased by the love of her life, her husband Robin Graham Hood. She leaves her daughters Laurie Insole and Carla Thompson (Mike Dagenais) and her grandchildren Dylan and Jena Insole. Dar was an amazing woman with many talents, first and foremost she was a devoted partner, in business and in life, with Rob. They shared a company, Sherwood Forest Contracting Ltd, an adventurous spirit and a can-do attitude. Dar and her warm, welcoming home, in the town of Likely, charmed and captivated countless friends and visitors, she truly enjoyed cooking and entertaining. Dar’s contributions to the community were many, she served officially and unofficially in many capacities. She was an active member of the Cedar Point Park Board, and a past member of the Likely Community School Association, the Chamber of Commerce and the Likely Xat’sull Community Forest Association. She was loved and will be missed. Very sorry and sad to hear of Dar’s passing. She was quite the woman. I can’t imagine Likely with be same without her. I am so very sorry for you loss. I worked with Dar and Rob in community forestry. I’m the Executive Director of the BC Community Forest Association, and as you know, Robin was President of the Association for nearly 10 years. I got to know Dar over the years and will truly miss her generosity and feisty spirit. Robing and Darlene made the world a better place, and we will continue to be inspired by their vision, drive and creativity. I am thinking of you and your families in this difficult time.